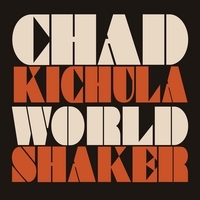 Chad Kichula arrives from Canada with a major fixation on Bruce Springsteen, at least on the title song of this three-cut EP. With a voice as heavy and deep as the Boss himself, Kichula narrates a tale of outlaw adventure and individual freedom taken from the Paul Newman classic Cool Hand Luke. Kichula’s bluesy singing gives the track an even more compelling storyline, one that can be appreciated even without the context of the film. “Gotta Hold on Me” is probably less personal but it is still a catchy B-side even though its lyrics aren’t as substantial as the single’s. “Another Love” is laid back and lush, Suzanne Parovsky’s strings illuminating the hushed atmosphere of Kichula’s romantic longing. Having not heard Kichula’s work before, I don’t know if this EP is a creative evolution from his earlier material or simply a continuation of it. One thing is clear: I will definitely survey his future.